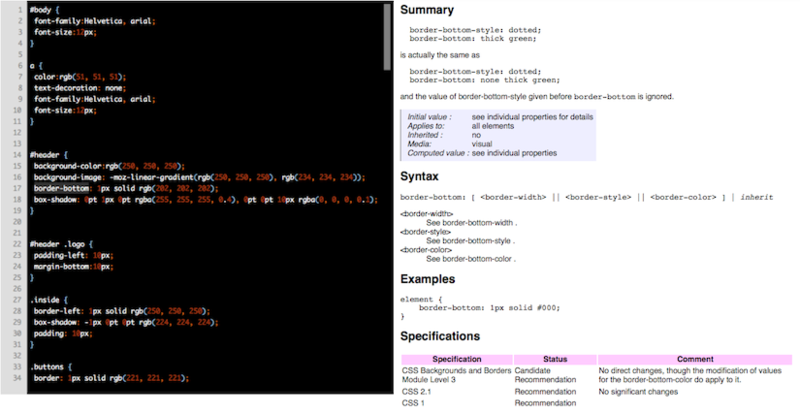 When you select a css keyword in the editor, documentation is retrieved from mozilla developer network and displayed on the right of the editor. If you think that tooling matters, and you are using the Play framework, the following table could be useful. As someone interested by tooling, I often think about how to reduce frictions between the developed applications and the development tools. In other words, how to reduce the context switching cost. For two weeks, I have started to work on a new experiment, named Solar, a play module to work on your play applications directly in your browser. 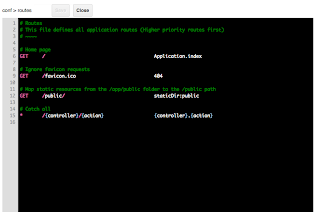 Navigation in the application files, with the ability to edit files and create new ones. 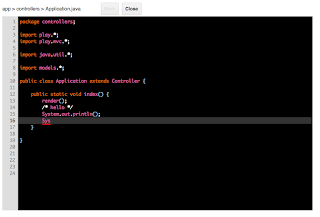 Java files edition with syntax highlighting and live compilation during the edition. 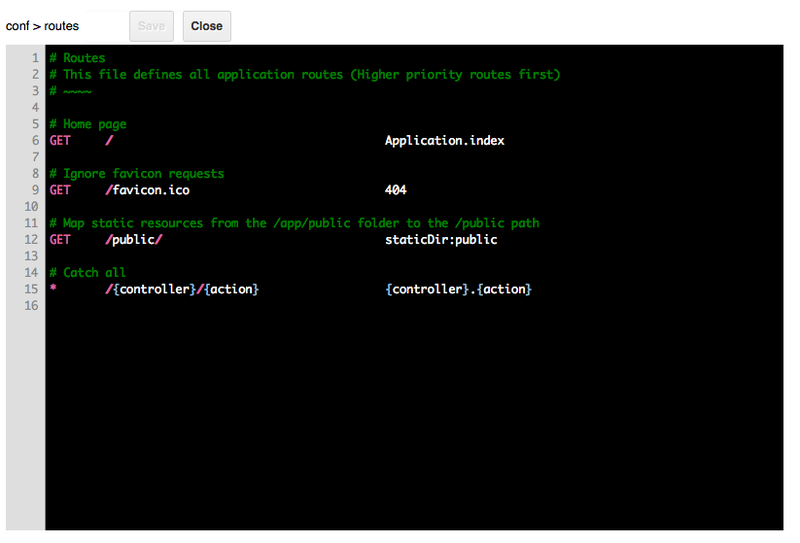 Router configuration file edition with syntax highlighting. The editor is implemented in the canvas, and it is based on Guillaume's work. Last week, I have joined Zenexity. Joining a new company, is a great adventure. By meeting new people and working on different projects, you learn new things and discover other ways of doing things. This leads to impassioned discussions and knowledge sharing. 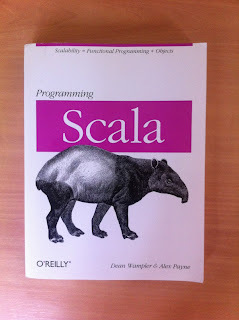 On my side, I am starting to dig deeper into Scala. Zenexity is the company who created the Play framework, a java web framework, which as you probably know, drops the craziness complexity of JEE to focus on simplicity. In a recent presentation, I have spoken about collaboration. I notably mentioned that in the last five years applications and medias which integrate natively collaboration have known impressive success. Looking at collaboration is interesting, as it exhibits today web application concerns. Enabling collaboration means dealing with several data producers. Typically, for each you will have a connection, and one of the application responsibility will be to manage those connections. The management becomes harder when the number of producer raises. For instance, the application may reach a connections number limit, so in order to scale the application will need to detect idle producers for closing temporally their connection. When you add more potential data producer, this generally ends with more information to manage or at least more information you would like to store, for instance for statistics purpose. To achieve scalability you may choose a non relational database. To ease collaboration, you need to provide a way for users to interact between them. Basically each user should be able to send notifications to others, directly or indirectly, and to do it efficiently traditional polling is not efficient. The new coming release of Play tends to tackle those concerns. It will provide powerful abstractions which will enables you to write simply reactive web applications. Applications which, integrate multiple data sources, support multiple data stores, and could use efficient bidirectional communications. 4 years ago, I joined Obeo, a startup focused on model driven engineering. At that time, I just finished my google summer of code for Eclipse Foundation, and it was a nice opportunity to join a company involved in the eclipse community. Tomorrow, it will be my last day of that adventure, an adventure I have decided to leave for reasons I explain below. Obeo has been using Eclipse as unusual propulsion system, we have benefited a lot from the eclipse platform and its modeling stack but we have tried to give back as much as we have received, creating a driving force. The people I have worked with at Obeo are brilliant. I am not writing that for the blog post, I really think it. 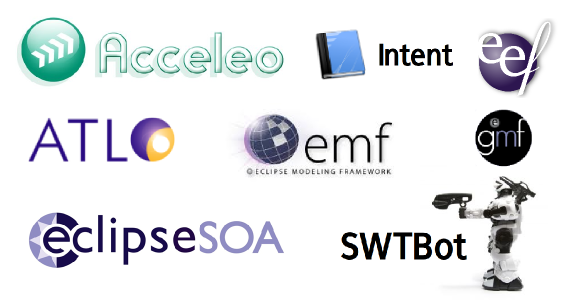 You probably already know some of them (Alex, Cedric, Fred, Goulwen, Laurent, Mikael, Stephane, William) involved in eclipse projects, I can tell you there are others doing awesome modeling stuffs. I will miss those guys. The first reason of my departure is that I feel like working on other topics. Before joining Obeo, I worked on various subjects, not modeling related and sometimes even not software engineering related. I like that diversity and I believe in the transversality of knowledge as well as in the strength of experience. The second one is the wish to take up new challenges. We took up several at the beginning of Obeo, in particular on the project I was working on, but, with the growth of the company, opportunities to work on disruptive innovations became less frequent. I don't know yet how I will be involved in Eclipse in the future, so I would like to thank you Eclipse community, it has been a pleasure. The modeling symposium at EclipseCon Europe 2011 was really nice with several talks on various topics related to modeling. I would like to thank all presenters and particularly István who filmed all presentations with his smartphone. Last week I presented with Martin and Benjamin why collaboration in modeling becomes an important concern, the issues we currently encounter, and the eclipse technologies which are improving to provide seamless collaboration. In the last five years models usage generalizes, modeling tools matured a lot, but often they have not be designed to allow one to work efficiently in team. On the same time, collaboration, in a general manner, took a predominant place in tools and medias. Successes of Wikipedia and the Huffington Post show that trend. Modeling or not, working with others is a challenge. Which separation of work ? Which rules to set up to keep the coherence ? How to deal with the different concerns people may have ? Answers are often most organizational than technical, however tools, technologies may constraint your organization and you way to work in collaboration. Model together is first dealing with a large amount of information and depending of your manner to represent them it could become quite tricky. For graphical representations, beyond layout problems, from a certain number of elements, we are not able to focus on the useful information, the signal noise ratio becomes to low. Even without representation scalability remains an issue, as by default EMF load the entire model in memory. How many times are we not able to understand legacy code or models done by others ? It is necessary to document your models and explains your choice behind design decision, but it is as important to keep documentation synchronized across the changes and refactorings you made. To collaborate means dealing with concurrent accesses, and often end users do not want to have to compare or to merge. Starting from that requirement you quite easily ends up with some kind of pessimistic strategy. The most simple implementation of this strategy is an instant messaging discussion. As long as your model is not changing too often its bearable. Sophisticated versions of that implementation are directly integrated in an SCM supporting file locking, but that remains a not very elegant solution. From that you'll try to avoid blocking the whole team and then you'll split your model into many files. It's slightly better but it's not that easy to do, as you have to carefully design your Ecore model avoiding most of the cross references. More over EMF fragments are not correctly supported by many tools. The other strategy, called the optimistic one, is to allow conflict happens and to deal with them when they occur. It looks like a dice game, and depending on the frequency, it could become hard to deal with conflicts. Those problems could be tackled with several technologies which enable one to work more naturally in collaboration. How to deal with large diagrams ? Thanks to EMF Mylyn bridge we are able to focus in the diagram on the information which matters, the information contextual to a change you have to do or that somebody else did. How keeping documentation and model synchronized ? How to support better models fragmentation ? Model tools could be behaving like the tools we are used to when programming. They should not make the assumption that every referenced element will always be there. This is possible by playing nicely with the EMF proxy mechanism. Keeping models coherent with fragmentation could be ensured through platform logical models. 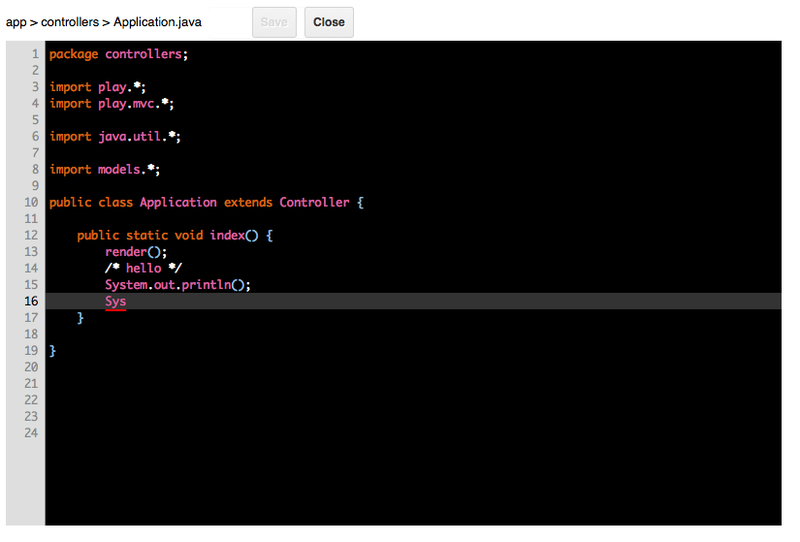 That API enables components to trigger changes on any file operation. How to avoid models splitting ? CDO is an impressive technology which have been around in Eclipse for a few years now. It keeps getting better and provides, as a model repository, every service you might dream of. Using it, one is able to build a solution based on pessimistic locking at the model element level, with live updates when you are connected. If you are more interested by the optimistic strategy, CDO offers the possibility to provide conflict resolver, to solve conflicts in the more automatic way, when they happend. CDO does not enable only efficient collaborative strategies, it solves the scalabilty issue, by loading only necessary model elements and unloading them automatically. I would like to share with you what is happening on a broader scale. Those technologies are only a start in collaborative modeling, and there are many ways to get inspiration about collaboration, github or google docs for instance. Of course a large part of this talk was reserved for demos of the improvements in Mylyn, EMF Compare, EGit, and Dawn, but I have currently no video of them to share.